REDUCED!!! Fantastic Terra Vista location!!! End unit condo with 2 balconies. Two car garage, with living space over garage area (no one above or below you). Unit is all 1 level, upon entry, you will use stairs to arrive at upper level. Centrally located, this home is close to everything! 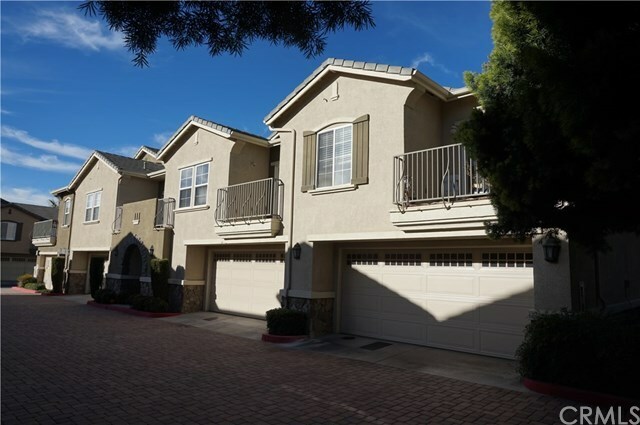 Walking distance to Ralphs shopping center, and Central Park senior center as well as a 5 minute drive to Terra Vista shopping center or Victoria Gardens. Commuters dream with the 210 and 15 freeways 5 minutes away and the 10 frwy about 10 minutes away. Home itself is in need of some TLC and needs some love and imagination - it has older carpet and original tile, original appliances and will need some work. Water heater was just replaced.